How to Manage Company Files in a Sydney Office Removals? Company files and documents serve as the life and blood of every enterprise. As much as how the modern office has transitioned, most of its data management, paper works, and every other significant document is processed in online innovations. The need to have hard copies and tangible materials for such files and documents is still in-expendable. Thus, enterprises still need to secure them and manage them accordingly. Otherwise, they can easily incur damage or you may lose them during the transition. Now, when the situation calls for Sydney office removals, keeping them secured and managed; becomes really tricky during the transition. 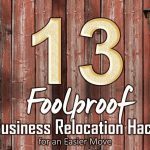 In fact, it is one of the many risks that business relocation specialists put so much consideration on, as they move companies. Teamwork is key to any complex endeavours. If your people know what they’re supposed to do, then the whole process will play out well for you. Things will fall exactly to place. And no one will play the blaming game at the end of the day. Not unless one department will disregard their role. And will fail to deliver what’s expected of them at the end of the day. So, choose employees that will take part on the move carefully, and assign them significant roles. And while you’re at it, make sure to select people assigned to deal with the documents and files. They will be the employees who will lead in sorting out the documents and files as opposed to simply letting the Sydney office removals team do it. If there is anyone who knows how best to sort the clutter out, it is your people. Because you will be really busy with the whole moving endeavour, you will not have time to communicate with every team members of the teams that you assigned. Hence, you will need a trusted employee to liaise in between teams and report to you at the end of the day. So, you will still be able to stay on top of every detail in your Sydney office removals whilst you deal with everything else. Moreover, there should be team leaders that will report to your liaison officer. One of them should be a leader from your document and files management team. And within that team should also be another form of hierarchy depending on the significance of the documents that are managed. This way, you will also know who’s liable if ever something bad happens. Since files and documents are heaps of work, there should be a plan on how to manage them well and contingency plans in case the plan fails. It’s easy to make mistakes during a commercial relocation so its best to have a default workflow to refer back to when things don’t go well. It would also be better if the Sydney office removals team is briefed with these plans. So, they can also take initiatives in making sure that things will be handled well in worst case scenarios. There should be a system of allocating where every type of files should go along the process. Personal stuff can be brought home by your employees, but corporate documents will need secure storage means, hence you will need to find self storage facilities that will handle them. Sorting the files will help you control the file management. If any files and documents are expendable, then this activity can also serve as “spring cleaning—ish” opportunity for your office. So, when you get to the relocation site, all files and documents that will go with you should just be the ones that you will actually need. Make it a point to make your employees understand that the Sydney office removals team should only worry about removals of other things, excluding the file transition from one location to the next. You can impose disciplinary actions when necessary. The point is, everyone should be responsible enough to protect your company from the damage of losing documents and files in the interim. Follow a structured system in taking care of your company documents before, during and after Sydney office removals. So, to ensure a seamless, less hassle and successful move. Be sure to do the things as listed above. And add additional milestones when necessary. If it did, then you’ll surely appreciate it even better if you explore more of our services. The insights from our blog section should give you further information on how should a successful move be like. Contact us today for more information. Also, learn the significance and value of hiring professional assistance in moving your business.